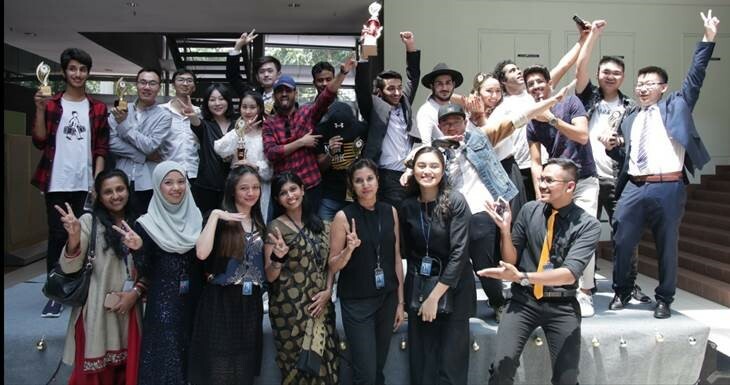 Students from Asia Pacific Language Centre (APLC) came together to deliver an interesting array of visual, aural and visceral performances at the APLC Arts Fest recently. 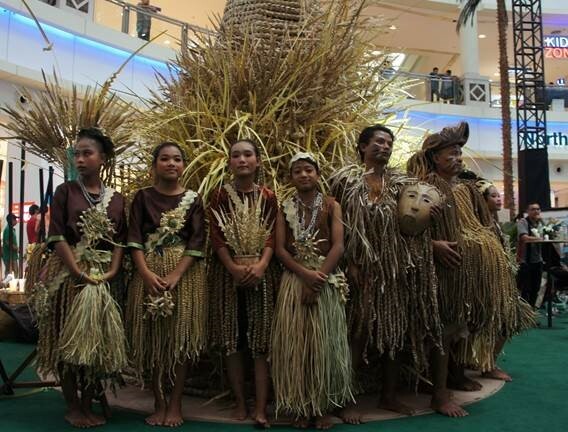 It was a great avenue for students to display their magnificent talents in the performing arts, in which they displayed their own distinct individuality and creativity through a wide variety of performances ranging from traditional to modern arts, such as dancing, singing, painting, calligraphy and magic trick performances. Prizes were awarded to the winners for the talent competition, as well as the Most Unique, Most Talented, Most Confident, Most Popular and Best Dressed participants. It was a great experience for the students as it gives them the opportunity to showcase their talents and build their confidence. The success of this event was made possible through good teamwork amongst the teachers. It is with high hopes that this event will always be cherished as a beautiful memory besides other numerous unforgettable memories created from all the events organized by the APLC family. 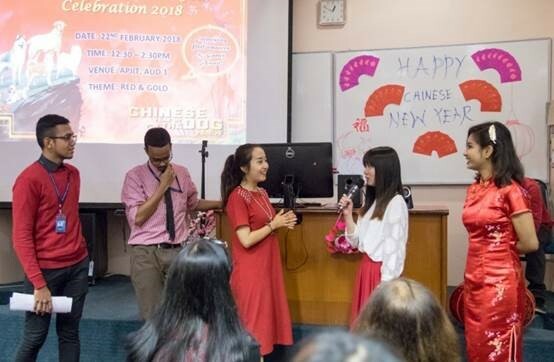 In conjunction with the Chinese New Year festival, APLC organised a colourful Chinese New Year event which took place in Auditorium 1, APIIT recently. It was an event filled with exciting games and performances by none other than the wonderful students of APLC. The event was organised by Ms. Saskia and Ms. Nur Faheemah with the help of other teachers who put up a tremendous effort to make the event a success. The event started off with a surprise flash mob by Level Two (Group 2) students to capture the audience’s attention and as a gimmick to the celebration. 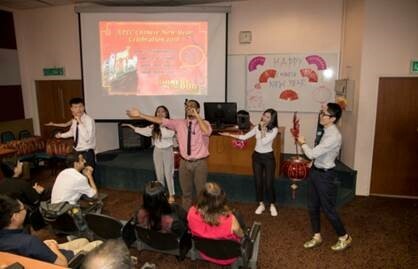 The flash mob performed by 14 students from various countries who danced to a famous Chinese song managed to boost the Chinese New Year atmosphere in the auditorium. During the event, two students (Mohd Amir and Gao Yiqi) presented in the background. They beautifully provided some insights on this wonderful celebration around the world. 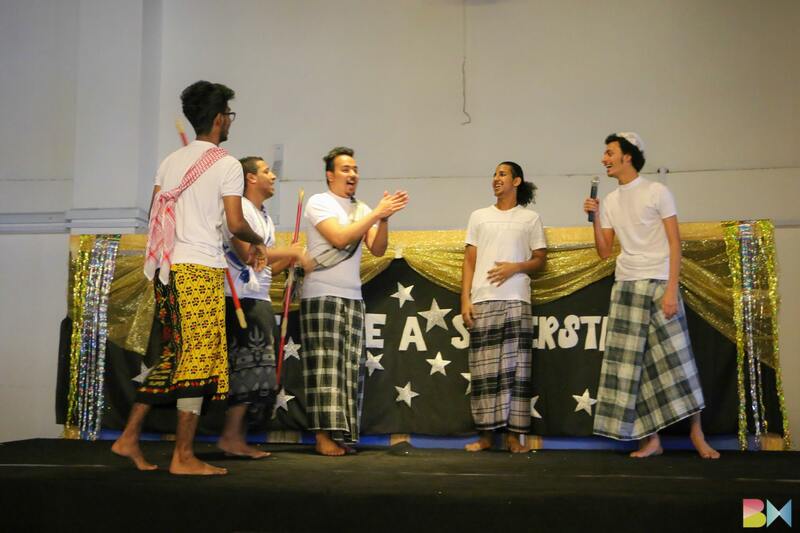 To spice up the event, the audience was also entertained by delightful performances presented by APLC students. Besides the event being filled with performances, fun games were also prepared to inculcate the different Chinese New Year elements. The games conducted were Peeling Oranges using One Hand, Chopstick Game and Zodiac Charade. During the orange peeling game, students were put into two groups, male and female with an orange placed on the table in front each student. On the count of three, students had to use one hand to remove the plastic off the orange and peel off its skin. The crowd cheered exuberantly as students competitively tried to win the game. The Chopsticks Game was one of the highlights of the event. A high-spirited crowd watched over two groups of students desperately trying to move five different pieces of items from one table to another. The items included a paperclip, a peanut, an orange, a peg and a piece of string. 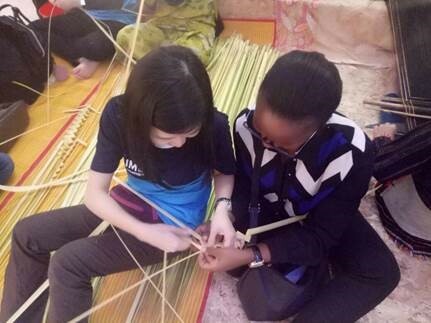 Students were divided into groups according to their skills of using chopsticks. Hence, they were on par with their challengers. Through this game, students who were not used to using chopsticks were able to challenge themselves in using the tool to win the game. Last but not least, the onlookers had a lot of fun watching the Zodiac Charade as they got to see their friends acting out the different Chinese zodiacs. The game challenged students’ creativity and vocabulary in order for them to emerge a winner. All participants enjoyed themselves and did their best in each game they participated. It was a great pleasure that the auditorium was filled with cheers and laughter till the end of the event. 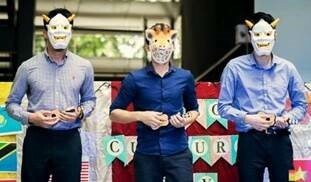 All in all it was apparent that students were also highly entertained by all the activities held. It was a good day as everyone had so much fun together. The objective of the event was successfully achieved. 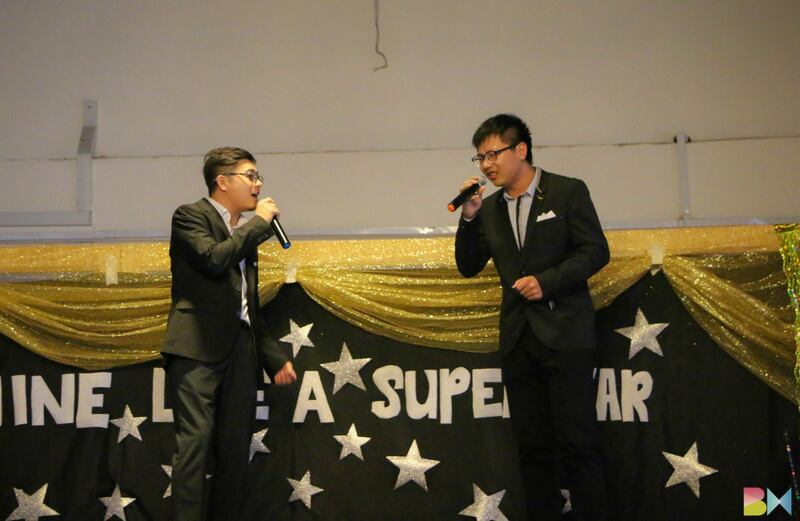 In the effort to encourage students to showcase their talents in performing arts, Asia Pacific Language Centre (APLC) hosted the second APLC Talent Show, themed APLC “Shine Like A Superstar” recently. 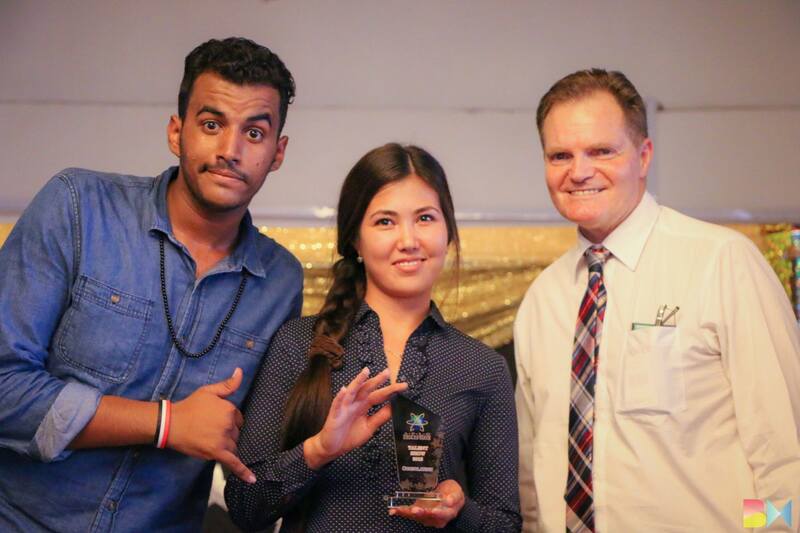 The talent show, which was a much awaited event showcased some truly hidden talents among APLC students who are here to better their English language skills. The event was coordinated by Ms. Haryati How, and executed by all the teachers at APLC. The students, who are always ready to share their talent and culture, were thrilled to demonstrate their ability to sing, dance and even perform magic tricks! 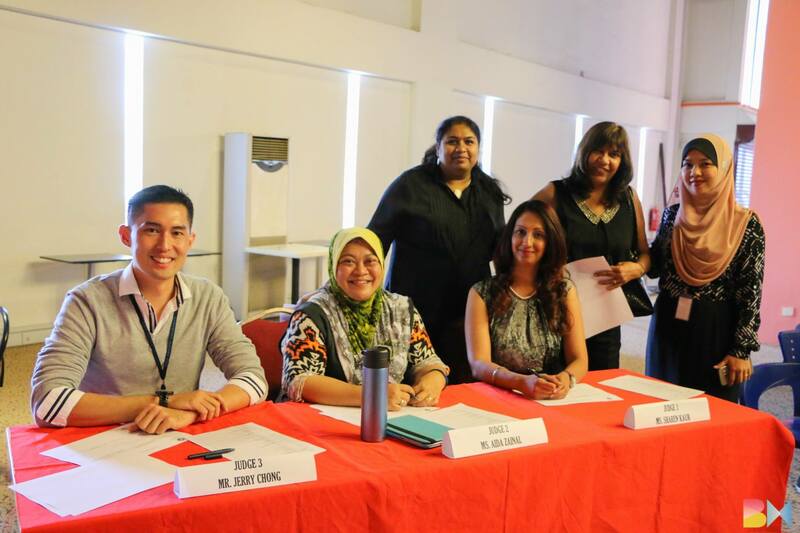 The judges for the day were Ms. Sharen Kaur (APLC), Mr. Jerry Chong (APU), and Ms. Aida Zamnah (APU), all who have vast experience in training students for performing arts. There were eight performances altogether, individual and group, by students from various countries like Yemen, Kazakhstan, China and Libya. The students took the chance to perform songs from their homeland as well as traditional and folk dances from their countries. It was a colorful event filled with enthusiastic cheers from the audience. Based on the judges’ evaluation, Zhang Xue May from China won the 3rd place for her beautiful rendition of a Chinese song. Mohd Ali, Abdul Wahab, Ahmad Khaled, Al Hussein, Fadhl and Anmar Alelwani from Yemen bagged the 2nd place for a rousing traditional Mecca dance. Wang Xing Bo and Jia Wei from China who performed a truly heart-touching duet were crowned the champions for the day. There were consolation prizes for the other contestants who had all worked hard at polishing their performances to give out their best for the event. In addition, as a surprise for the audience, one Best Dressed winner was announced at the end. The prize for the Best Dressed Audience went to Hubah from Djibouti for her effort to look more stylish on that day. 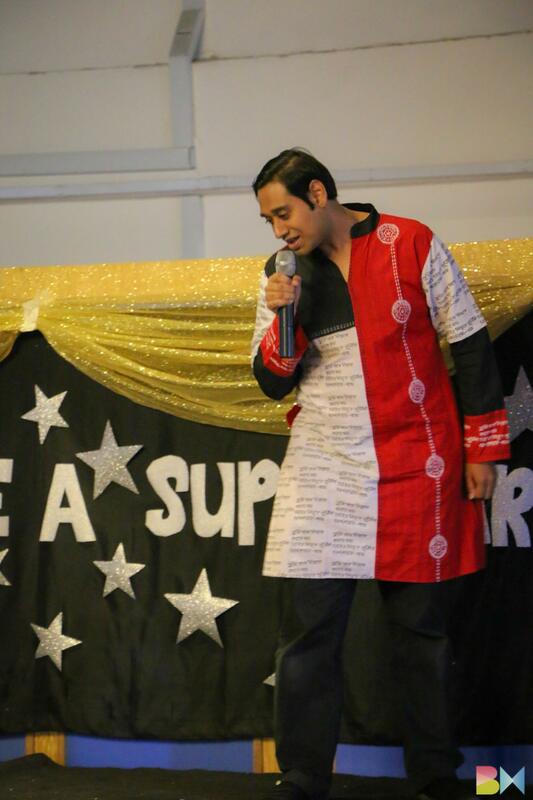 At the end of the day, APLC is happy to be a platform where students can shine and be superstars too. It’s a great way for them to share the tradition and customs of their country with their friends from all around the world. Read more about Shine Like A Superstar! 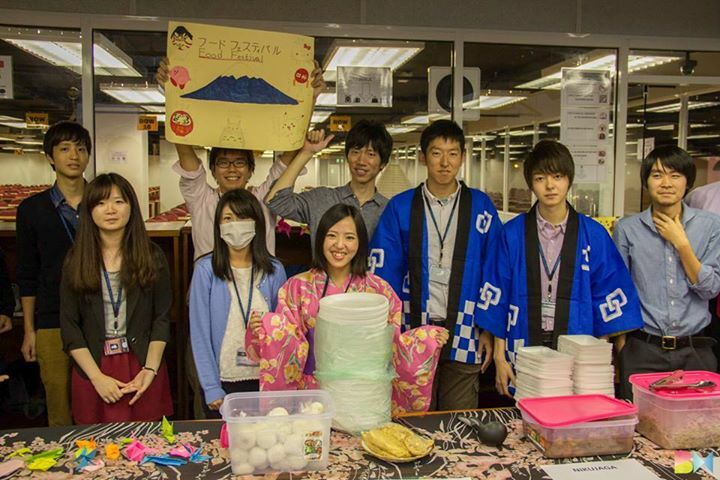 Students and staff from the APIIT Education Group took a break from their studies and work to indulge in the tastes of the world as the Asia Pacific Language Centre (APLC) hosted its 6th International Food Festival at its premises recently. 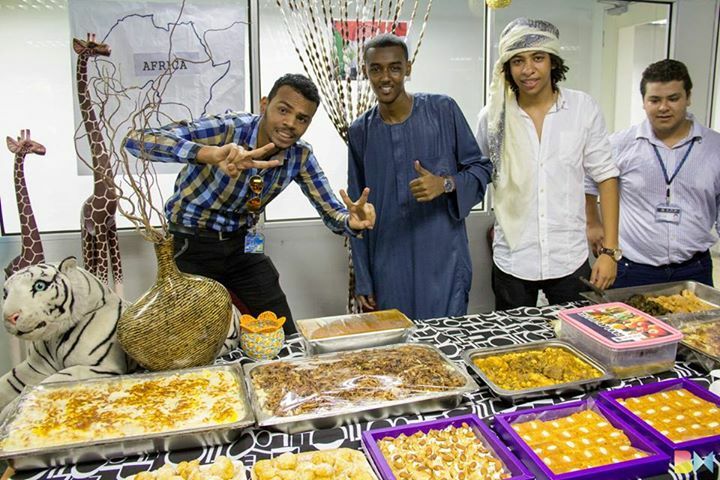 The event saw active participation of students from over 20 nationalities; they prepared signature foods of their countries and served them at the event’s booths, while explaining to incoming visitors about the name, the origin and the ingredients of each foodstuff displayed. Over 200 visitors had the opportunity to taste food that are not commonly available in Malaysia, such as “Shashlyk” from Central Asia, “Vadai” from South India, “Kabsa” from Saudi Arabia and Jordan, Egg Pancake from China, Kimchi Noodles from Korea and more. While feasting on these delectable foods, participants also fed their minds with knowledge as they learnt about the preparation processes and stories behind the foods through interactive conversations among each other. The study hall of APLC immediately transformed into a platform for cultural exchange.